Product information "Lithoprotect® Mounting Fluid"
Mounting fluid for an efficient wet bonding of self-adhesive foils. DX MF 301 is ready-to-use and optimized for our self-adhesive UV-protection yellow foil YSA520. _ Fast and easy bonding of self-adhesive foils such as our yellow foil YSA520. _ The foil keeps repositionable during bonding for a while. _ Leaves no visible or interfering residues. _ Allows a strong final bonding of the foil to the window. A nonflammable aqueous solution of anionic and nonionic surfactants and alcohols. No labeling requirement. A Material Safety Data Sheet according to EU regulations is available. In case of contact with the eye, rinse thoroughly with cold water. 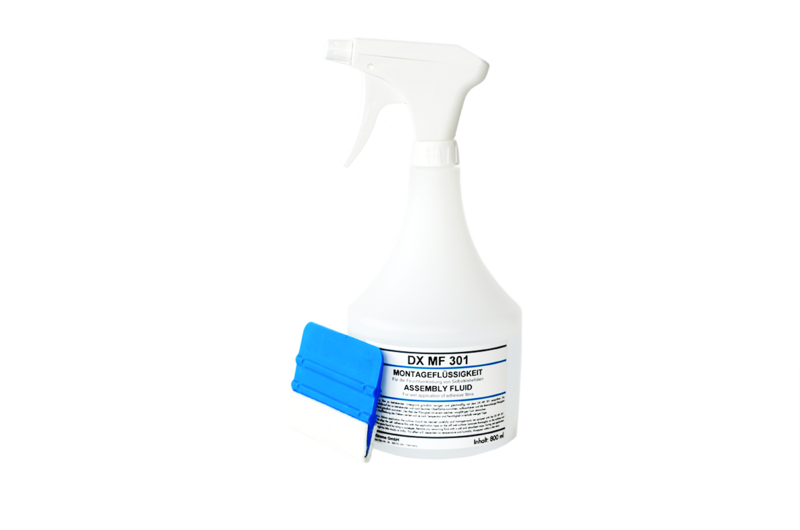 Clean the surface (window) thoroughly and spray evenly with the mounting fluid DX MF 301. 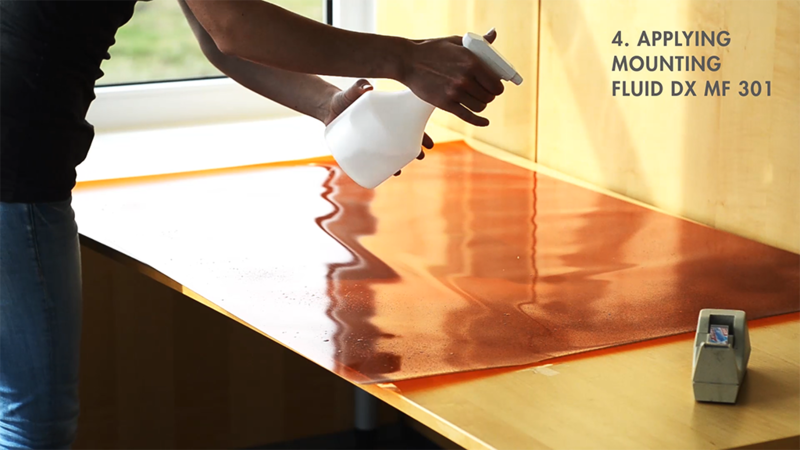 Attach the self-adhesive foil to be bonded with the adhesive on the still moist surface, squeeze the excess liquid thoroughly from the gap between foil and window (a suitable squeegee with felt insert is also available from us). 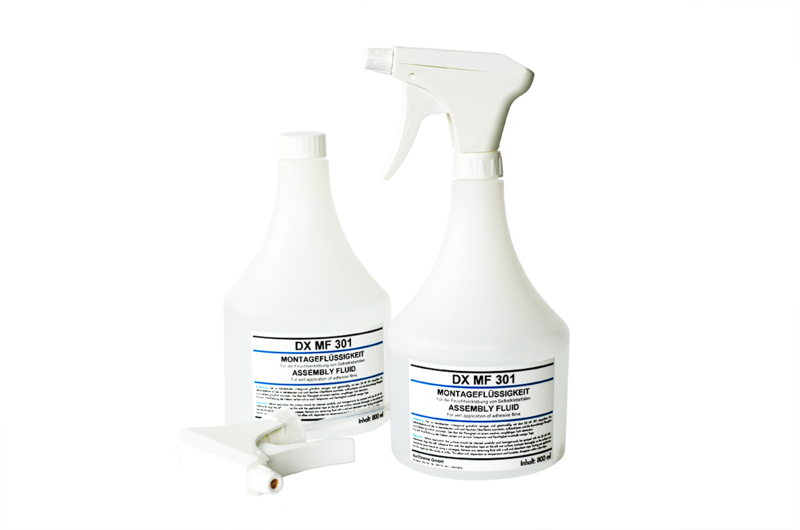 Wipe away remains of mounting fluid DX MF 301 with a soft, absorbent cloth. 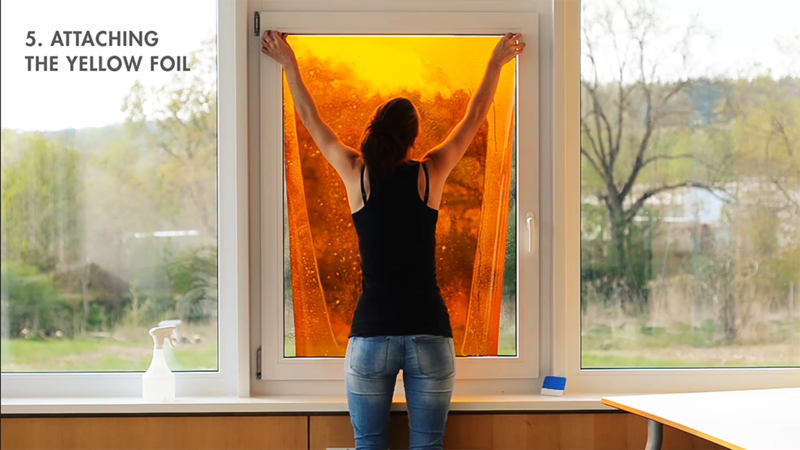 A possible whitening of the film vanishes depending on temperature and room humidity within a few days. Customer evaluation for "Lithoprotect® Mounting Fluid"